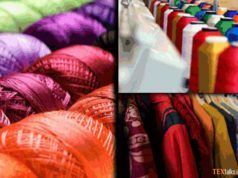 Pakistan textile industry is in dire need of upgrade on modern lines and value addition. During a session held at PRGMEA, Mian Anjum Nisar, Caretaker Provincial Minister for Industry and Commerce Punjab, appraised the crucial role Sialkot exporters are playing in strengthening exports and earning pious foreign exchange of $2 billion annually against it. He mentioned that the government is well aware of the problems of textile industry and was actively making efforts to boom up the country’s textile sector. Mian Nouman Kabir, Caretaker Provincial Minister for Labor and Transport Punjab, also hailed the role of Sialkot exporters for providing better education, health and residential facilities to more than 40,000 industrial workers and their families. They said that their social security department was annually spending Rs 700 million for providing medical and health facilities to the registered workers. 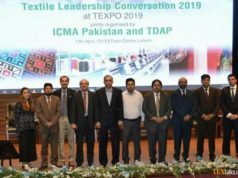 Furthermore Mr Ejaz A Khokhar, Chairman PRGMEA, said that government patronage is required for the textile sector to flourish besides a relief from unnecessary taxes.